Immigration and Customs Enforcement sent a strong message to employers who hire illegal immigrants with a Wednesday raid on a Texas company that netted more than 280 people working in the U.S. illegally. 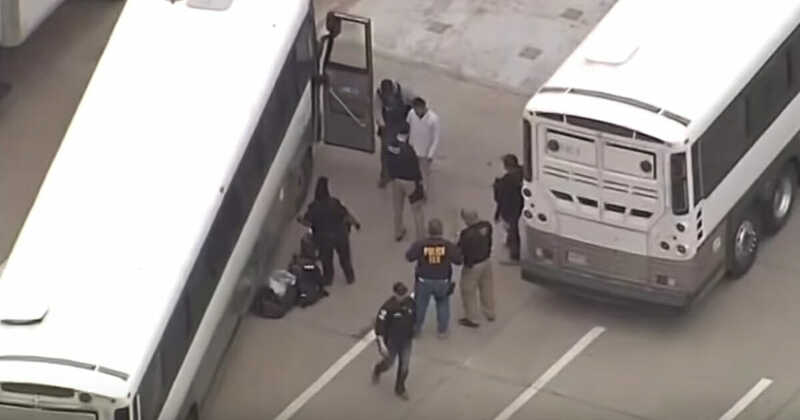 The raid on the Allen, Texas, location of CVE Electronics, a New Jersey-based company, was described as the biggest workplace immigration raid in a decade, NBC reported. Four related staffing businesses were also raided. Allen is located 25 miles from Dallas. “Businesses that knowingly hire illegal aliens create an unfair advantage over their competing businesses. They take jobs away from U.S. citizens and legal residents, and they create an atmosphere poised for exploiting their illegal workforce,” Katrina Berger, Homeland Security Investigations Dallas special agent in charge, said according to USA Today. “We need integrity in our immigration systems. Illegal workers, these companies need to go about it properly. They need to be using a legal workforce. It’s required by law,” Berger said, KTVT reported. The investigation began in January after ICE received tips that illegal immigrants had been hired by the company. An audit of CVE’s I-9 forms was then performed, NPR reported. Federal hiring laws require that new hires fill out I-9 forms to verify citizenship. The laws perform “necessary and common sense functions,” Berger said.